Let’s face it long haul flights can be very tiring. Whether you are traveling with a carry on only, or checked luggage and a carry on, you have to be prepared for a long haul flight in order to feel as comfy as possible. To help you prepare for your upcoming flight here I’ve created a list of 8 long haul flight essentials, plus I’m sharing my tips how to make your travel experience as pleasant as possible. I speak also about things to do on a plane to pass time, what’s the most comfortable clothing for a long flight and what are the best snacks to take on a plane. Here is a better option – the Cirrus EarPlanes! 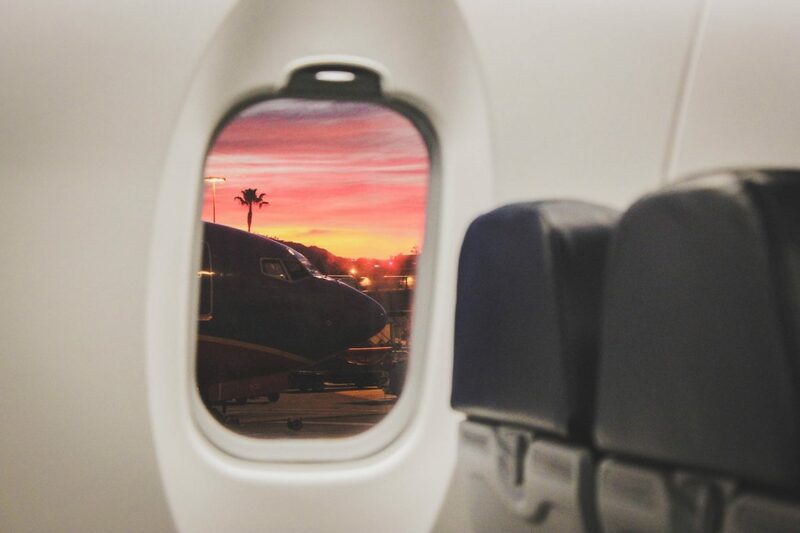 Here are 8 carry on essentials for long flights + our recommendations. There’s plenty of time during a long haul flight for you to read, watch movies or listen to your favorite music. But what about sleeping? Personally I prefer to sleep on a long haul flight, and only sometimes I read my book or listen to music. But not all people can easily fall asleep or even rest on the plane. All that noise, uncomfortable seats… And sleeping in an upright position is not something to look forward to. When you are asleep your chin falls forward, making your neck numb. And in the end you end up more tired than you were before. So, how to sleep on a plane, you’ll ask? There are some travel accessories that are there to help you get some rest. 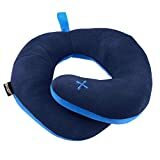 One of them is a travel pillow, a piece of travel gear that’s high on the list among the long haul flight essentials for many seasoned travelers. There are several great travel pillows on the market, but in my opinion the BCOZZY travel pillow is the best neck pillow for long flights. Because of several reasons. The BCOZZY travel pillow is soft and pleasant to the touch, as well as it’s adjustable. 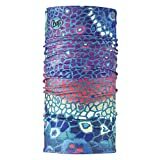 It wraps around the neck comfortably and simultaneously provides support to the neck and head. Most importantly, it will give you much needed chin support as well! You can twist the BCOZZY pillow in several positions – whichever works best for you. Also you can adjust how tight the pillow will sit around your neck. With the BCOZZY pillow you’ll feel comfortable both while sitting up straight and with your head off to the side. The pillow has booster side cushions. You can also use this pillow as a cushion between a head and a wall. Here you can read about other great travel pillows: Best Travel Pillows: 10 Top Travel Pillow Reviews. Recommended product (see photo above): PrettyCare 3D sleep mask. Wanna get some sleep on the plane during the day when the lights are on? Then sleeping mask is a must-have. The airplane sleep masks aren’t great, and not always they are offered to passengers. Get you own mask! They aren’t expensive. Just look for a mask that will suit your needs the best. There are a wide variety of sleep masks on the market. There are hypoallergenic masks, and there are heated masks. Then there are simple budget eye masks similar to those on the airplane. In my opinion the best mask for an airplane is a lightweight, contoured mask, such as PrettyCare 3D sleep mask. It’s super slim (0.23″ / 6 mm), and weights only 0.4 oz (11 g). The eye mask is made with an opaque, high density memory foam, and will fit any face easily as it features adjustable elastic strap. The PrettyCare 3D mask seals well without tugging your hair. For added comfort the manufacturer has raised the nasal bridge and thickened the canthus. The PrettyCare 3D sleep mask comes with 2 high-quality earplugs that will reduce noise level and help you get some sleep. However, the regular soft earplugs is not the best solution for air travel. They won’t really lessen the discomfort and pain that occurs in the ears due to pressure changes. If you have an allergy or have got a cold then you have a greater chance of experiencing pain and discomfort in the ears during take-off or landing. The Cirrus EarPlanes are among the best earplugs for air travel. The EarPlanes relieve ear discomfort, clogging and popping by filtering and regulating air pressure. Of course, these earplugs reduce noise, as well. Recommended product (see photo above): COWIN E7 PRO. When you listen to music in transport you still hear what’s happening around you – people are chatting, someone’s baby is crying… And you hear rumble of the engine that’s always there. Yes, you can block out these noises but then you’ll have to make your music louder, and it’s not a good idea since it can harm your ears. You can avoid it by buying noise cancelling headphones. Unfortunately, the perfect headphones, such as the Bose QuietComfort 35, cost an arm and a leg. But there are cheaper options as well – such as the COWIN E7 PRO. The COWIN headphones are well made, and lightweight enough to feel comfortable. They quell airplane cabin noise, as well as background noise. 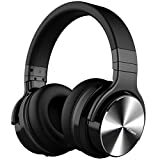 The noise cancellation function work well both in wire and wireless mode. The COWIN headphones feature soft ear cushion and built-in microphone for hands-free calls. 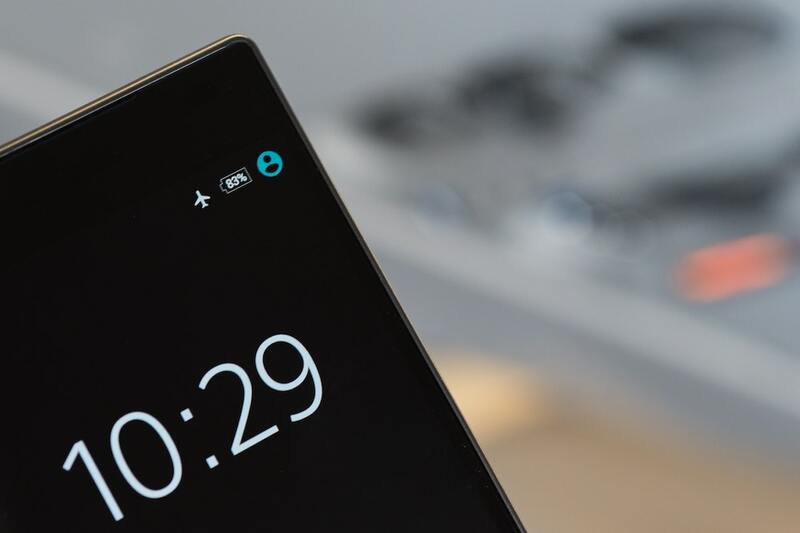 A built-in 800mAh battery supports 30 hour playtime. Recommended product (see photo above): Anker PowerCore 26800mAh. Are you planning to watch movies or listen to music during your flight? To be sure you don’t run out of battery carry with you a power bank! It’s definitely one of the top long haul flight essentials for everyone traveling with many gadgets! Since you never know how many power sockets there will be at the airport or in your hotel room! A good power bank will save your day! A power bank is a portable charger designed to recharge your gadgets while you are on the go. You charge it first, and when it’s charged you can use it to recharge your phone, tablet or even a laptop. What and how many devices you can charge depends on the capacity on a power bank – look at its mAh figure. Yes, power banks come in different sizes and capacities. You’ll see both slim pocket sized devices and larger and heavier devices (as big as two or three iPhone 7 smartphones put together). I suggest you to invest in a large capacity power bank, such as Anker PowerCore 26800mAh. Not only you’ll be able to charge your phone once, not even twice, but even as many as 6 or 9 times, depending on what phone do you have. After fully charging the power bank you’ll be able to charge 3 iPad minis. Weight – 17.28 oz (490 g). Don’t forget to take USB cables with you! Otherwise you won’t be able to connect your devices to the power bank. Recommended product (see photo above): Peach Couture shawl. As planes are air-conditioned, you can start to feel chilly at some point of your journey. To keep yourself warm pack a shawl. If you plan to wear a hoodie or a sweater you won’t need a shawl. However, a “buff” is a great thing to pack in your carry on just in case your neck will feel cold. It doesn’t take up much space and it’s versatile – you can wear it on your head, around your neck, or wear it as a face mask or balaclava. Also it can used as a sleep mask, in case you don’t have one. Recommended product (see photo above): DANISH ENDURANCE Merino wool socks. 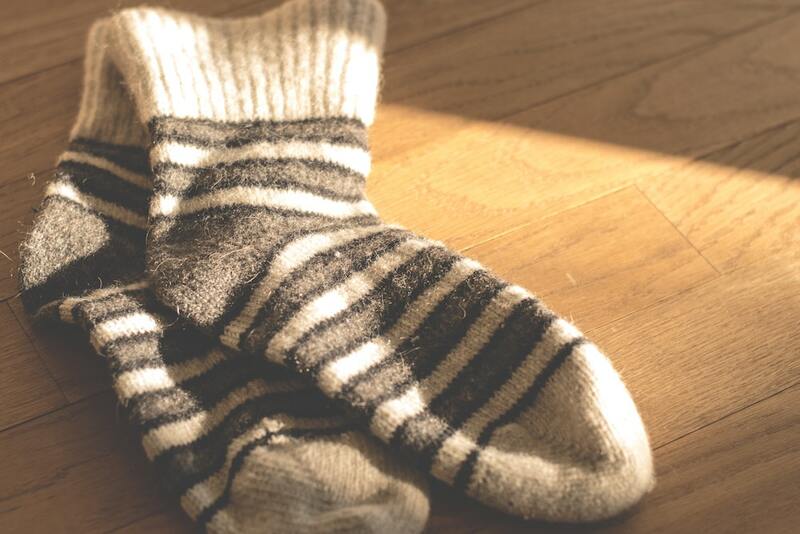 If you take off your shoes during the flight, always pack warm socks to keep your feet cosy and warm. 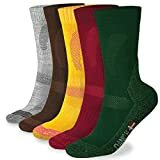 Merino wool socks are really great but if you don’t have them any warm socks will be good. Recommended product (see photo above): Nalgene HDPE 48 oz Silo wide mouth BPA-free water bottle. Flying dehydrates you. Before boarding a plane fill up your water bottle with drinking water, so you can stay hydrated during the flight! 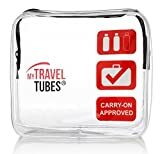 Recommended product (see photo above): My Travel Tubes TSA-approved clear travel toiletry bag. You can buy any convenience kit on Amazon. But the thing is – these convenience kits won’t have all the items you might need on a plane. So, that’s why I suggest you to get yourself a TSA approved toiletry bag and fill with the stuff you’ll need on a plane. Let’s look into my “flight toiletry bag”! A lipstick and a mascara (I don’t use it after every long haul flight, but I still bring them just in case I’ll want to apply some make up). As it is quite a lot of stuff, I can’t fit all of it in a TSA-Approved Travel Tubes toiletry bag. What I do is – I pack liquids in a clear, resealable quart size bag, and put it with the rest of the stuff – in a regular toiletry bag. Remember, you can’t take full size toiletry bottles on a plane! You are allowed to take one quart (1 l) sized bag with liquids in containers not exceeding 3.4 oz (100 ml). Liquids cover creams, gels, aerosols, pastes, lotions and perfumes. Check out the Squeeze Pod sets! These are sets of singe use pods of body wash, facial wash, sunscreen, shampoo, conditioner, shaving cream, moisturising lotion, hair gel. 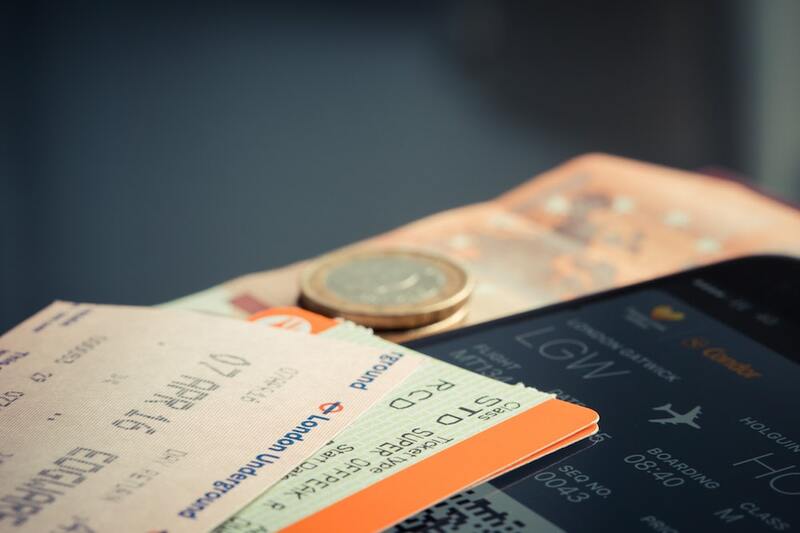 Not only you can use some of them during a long haul flight but also during the rest of your trip! To save space take multi-functional items, such as creams and lotions that can be used both on your face and your hands, wet wipes that can be used both to remove makeup and clean your hands. Ok, that’s more or less it about long haul flight essentials. Now let’s talk about clothing. Find comfortable clothes to wear on flights! It is very important to feel comfy during a long haul flight. You won’t want a waistband of your pants dig into your skin or feel chilly during a long flight because you’re dressed to lightly. In this paragraph I will focus on the most comfortable clothing for a flight. First of all, what I wear when flying? While I don’t really prepare for a short flight, I do try to pack smart and dress as comfy as possible for a long haul flight. Even though a hoodie is not the best option when it comes to storing it because it takes up a lot of space, but it’s still my favorite for a long flight. Wrapping myself in a shawl is not an option as it’s not warm enough for me. There are special travel hoodies with plenty of pockets but I prefer a traditional hoodie because it’s not that expensive. If you don’t want to wear hoodie there are plenty of other options. You can wear a warm cardigan , fleece pullover or any comfy sweater. Take a shawl or a buff in case it gets chilly. See recommendations above. What is Kaspars’s long haul flight outfit? Yes, a fleece jacket is a bulky piece of clothing, so that’s why it is important to wear it during a flight, rather than cramming it into your already full carry on! When Kaspars is traveling to a tropical destination he takes only a long sleeve and wears during a flight. He doesn’t really feel cold (unlike me), so he doesn’t need to wear winter clothes during even a long haul flight. What about the footwear? Salomon sneakers with Quicklace are great! You can both put them on and take them off very fast as you don’t have to untie the laces. Such sneakers are a good option for long haul flights when you take off and put on your shoes several times during the flight. Some people put a change of clothes in their carry on in case their clothes get dirty (spilled food or drink, etc.) or their checked in luggage gets lost. Some women tend to take a fresh pair of underwear and a fresh T-shirt to change into at the end of a long haul flight. I love to sleep, and I can sleep almost anywhere. I sleep well on a long haul flight, and I am asleep for the most of it. But I know people who can’t sleep on a plane at all. So, what are other things to do on a plane to pass time? The answer is – reading, listening to music, watching movies and playing games on your phone, tablet or laptop. Some people work during long haul flights. Most probably an in-flight entertainment system will be available during the long haul flight. But there are some airlines (such as Ukraine International Airlines) that don’t provide it in every plane. And there are people like me who never use the in-flight entertainment. On a few occasions when I am not asleep I love to read a book, listen to music I’ve selected or watch a movie or documentary I’ve chosen before going to the airport. Paperback (more compact than a hardcover). Can you take snacks on an airplane? The answer is – yes! Also the TSA allows almost all food items through the security checkpoint. However, some airlines (AirAsia) have strict restrictions and outside food is not allowed. Surprisingly, the TSA allows almost all food items through the security checkpoint, so long as none of them are liquids in amounts exceeding 3.4 ounces. This means you can even bring pies and cakes with you through the checkpoint—though they will be subject to additional screening. Whole fresh fruit. 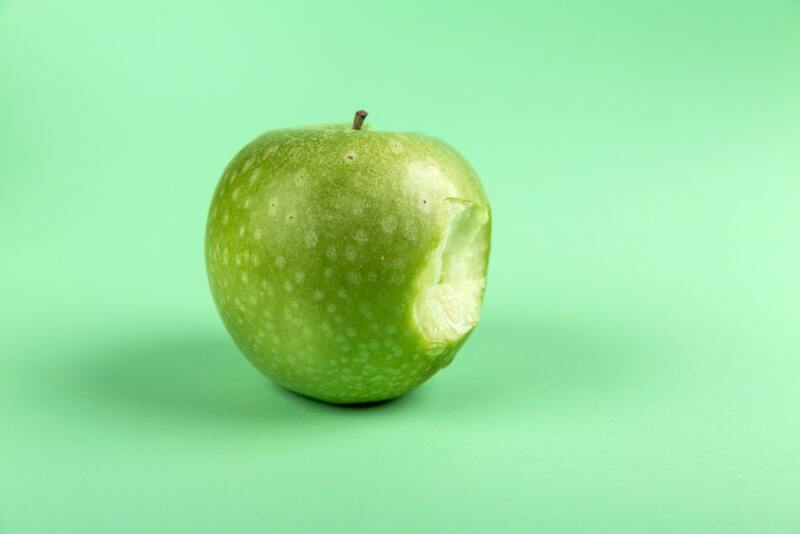 Apples are the best option, since they are firm and can’t be smashed that easily. However bananas are also a great snack even though they are soft. Just put them in a plastic container so they don’t get smashed. Is there anything you would add? Any more long haul flight essentials I haven’t mentioned? Wow! Great Advice. Thank’s for sharing all the good tips. One of the great things we recommend is to do some in-seat exercises and stretches! Great to pass a little time and get your blood flowing;. Also helps, to prevent DVTs and combat jet lag!